These Aussie businesses prove it. Bet he's happy he forked out $30. There's nothing quite like receiving a beautiful bunch of fresh flowers. While there are undoubtedly some grinches out there who will probably read this and grumble 'why would you pay for something that just ends up dead?' the same could be said of, gosh, we don't know, living life in general. So they should just shut it. Bottom line: flowers are lovely. Receiving flowers is lovely. Even sending flowers feels lovely, simply because it's a lovely thing to do. Get it? LOVELY. 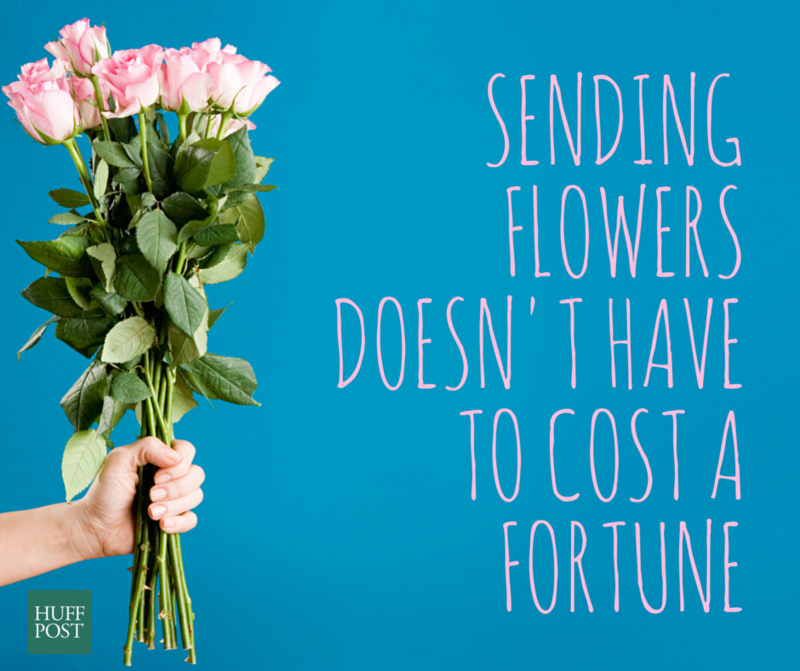 Where the novelty of sending flowers tends to rub off a bit is when you're whacked with the bill. Because let's face it, to have even a simple bouquet delivered only a short way away ends up being quite the costly exercise. But it doesn't have to be. A number of innovative Aussie start-ups all over Australia are proving when it comes to flower deliveries, you don't have to break the bank. Here are some of our favourites. What: Little Flowers delivers exactly that -- little bunches of flowers -- around Sydney's inner city areas for $30 a bunch. Depending on what's in season, there's a new bouquet each day, so make sure you check their website or Instagram account prior to ordering. Weekdays only. What: Posy Supply Co. delivers posies from Palm Beach to Surry Hills (including the CBD) on any day of the week, all for less than $30. There is a different posy to choose from each day, so make sure you check their website or Instagram account around 8am to find out what's on offer. You can also purchase larger bunches for $54 or flower crowns for $49. What: The Posy Story delivers small posies from $35 (you can order larger ones if you like) as well as soy candles ($28) around Melbourne -- or you can pick up a posy and a candle for $60. If you're feeling extra generous you can throw in some wine, chocolates, tea or even lipstick for an added price. Hampers are also available. Each day a freshly designed posy is revealed on their Facebook page, Instagram account and homepage. Deliveries typically occur Monday - Friday, though you can email them if you're desperate to organise something for the weekend. Price: $35 for a small posy, $28 for soy candle, $60 for both. NOTE: Greenvale delivery is free, but all other Melbourne metropolitan areas require a $10 delivery fee. Weekend deliveries incur a $15 delivery fee. What: Posies delivered around Melbourne, each with their own jar. (Handy if you need to put them on your work desk!) Check out the daily posy arrangement on their Instagram or homepage. Price: From $30 (not including delivery fee). What: Little bunches of fresh flowers (small or a little larger) delivered across Brisbane on weekdays only. To check out the posy of the day, visit their Instagram or website. What: Daily posies delivered throughout Brisbane in three available sizes (single, double and triple). For those who something different, Poco Posy also delivers pretty pots for $40 a pop. Check out their daily deals on their website or Insta page. Price: From $30 including delivery. What: Delivering on weekdays only (with the exception of certain days that are bound to do well for posy-sending, such as Mother's Day) The Little Posy Co. offers two types of posies -- a single or a double. Check out their daily posies on their website or Instagram page. What: Weekday deliveries across Perth with two sizes available. Optional add-ons include chocolates, a candle or, on Fridays, a brownie. Bonus: $1 from each order will go to that month's chosen charity. To check out the posy of the day, head to their Instagram account or homepage. Price: From $33 (delivery charge may be added depending on location). What: Posies delivered around Adelaide with optional extras available such as mason jars or serenity candles. You can look at the daily bunches on their Facebook page or website. Price: From $29 including delivery. What: This self-described "fresh new flower shop" offers lowers, plants, candles and gifts delivered throughout Adelaide on weekdays. Note The Flower Nook operates on colour choice rather than 'daily posies'. Price: Posy jars from $25 (three colour combinations to choose from) or small bunches from $35. Delivery is free as long as its within 5km of Adelaide CBD.